This week I have mostly been getting… Olley stuff! One of my favourite sculptors is Bob Olley. I really disliked his style when I was younger, in the early 90s. 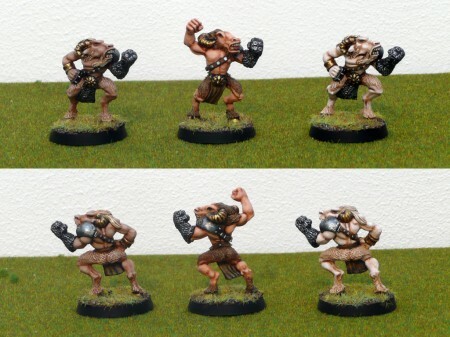 The cartoony and exaggerated anatomy of the Blood Bowl ogres, coupled with the rather stiff manequin posing didn’t appeal to me at all at the time. I still think his sculpts are pretty goofy, especially the Essex ones and those (mostly) horrible Black Orcs he did for Citadel – but there are some absolute gems in there too. 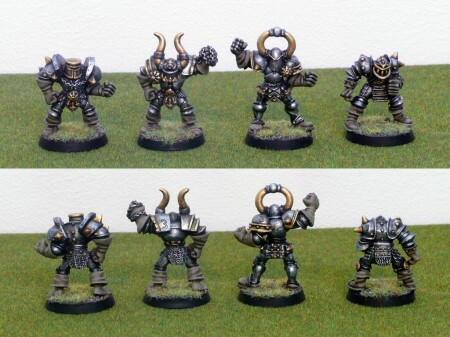 For instance, his Iron Claw goblins or the aforementioned Blood Bowl ogres. Also, his newer stuff is brilliant – especially the little Splintered Lands anthropomorphic animals. Olley, Adams and Copplestone - yum! 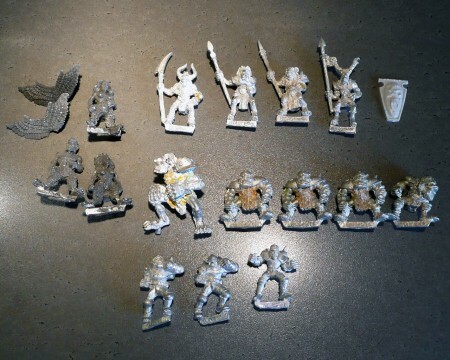 Among the gems are also his Citadel beastmen from the late 80s. I’ve got a few, and when I stumbled over a virtual Olley gold mine on eBay I couldn’t help myself and bought even more. 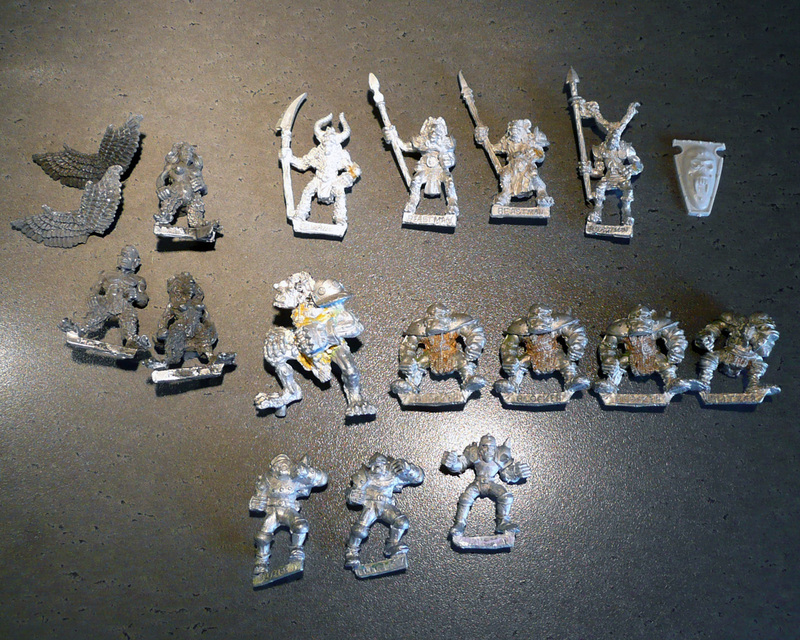 The same seller also had the set of harpies for sale, as well as the rather rare and elusive Blood Bowl Troll #3. They’re all mine now! I’ve also been getting some more Blood Bowl stuff for my Dungeon Bowl project. Four orcs and three humans. Last week I didn’t post what I had been getting (mostly) – I suppose easter got in the way. Here’s the picture I took though. It’s a parcel from Alternative Armies, containing Jes Goodwin’s old barbarians and some lesser goblins by Kev Adams. Haha, my parcel is hilariously squashed! Such fun! The lead was ok though! 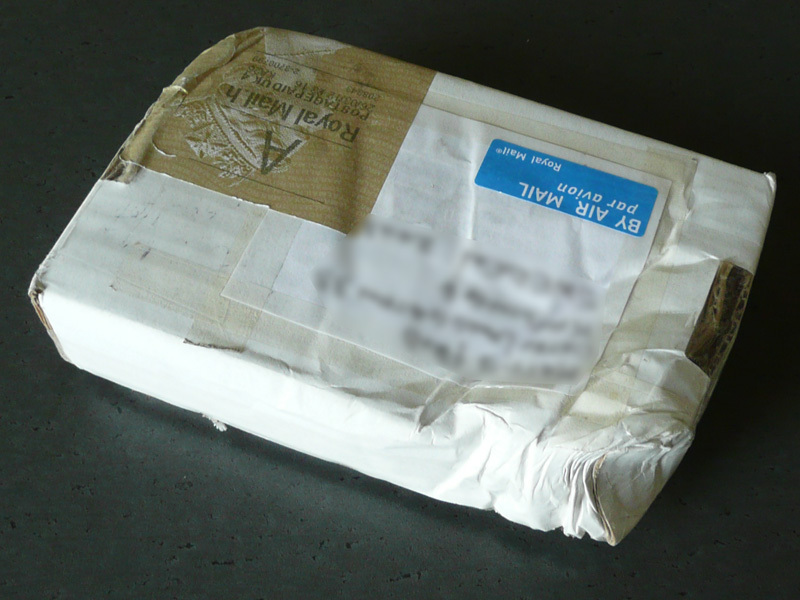 Luckily the chaps and/or chapettes over at Alternative Armies know how to pack their parcels so no lead was harmed. These guys were all bought on a whim. Alternative had 20% off, and I had been eyeing the old barbarians by Jes Goodwin for some time. 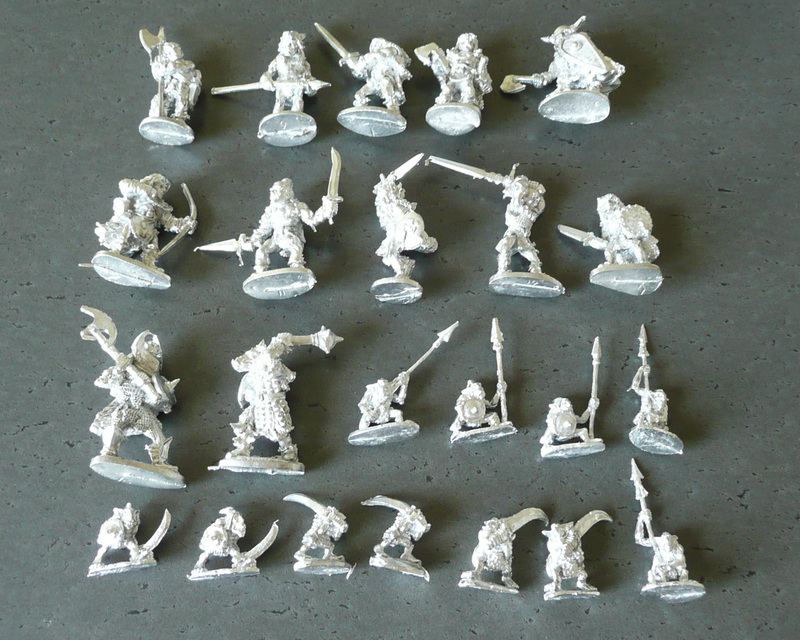 It’s a neat little set, with nicely sculpted minis that when painted as a group will make up a great warband for Song of Blades, Skulldred or Brink of Battle – whatever I will go for in the end. The lesser goblins were a super impulse buy. I sort of regret it, as they’re really small and I’m sure I won’t paint them any time soon. Also, those spears are very fragile. They’ll make nice snotlings for dungeon crawling though. The barbarians will go out on commission if I can find a painter willing to do them for a good price. These weren’t the only additions though. I also got two pre-slotta pirates from the Citadel rogues line. Forgot to take a photo of them, so I’ll just include them in my every-growing negative lead tally. Total tally for 2012 is now 44 painted – 154 acquired = -110! Yikes. I’ve been a bit busy with stuff not pertaining to this geek blog of mine, but here’s a little morsel and a hint of things to come. Recently, I’ve grown weary of the plastic D&D Miniatures figs. I still have a big collection saved for Warhammer Quest, and I think the minis fit great for board games. However, real miniature games require real miniatures. 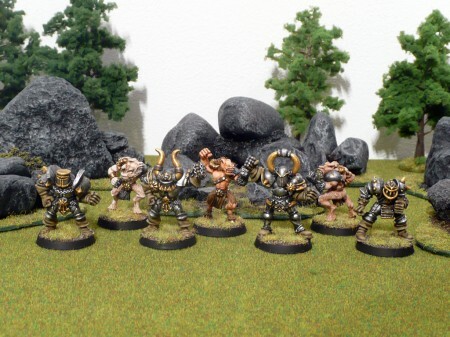 =) Thus, I’ve started a small and purposeful collection of old Citadel metal miniatures with which my cousin Fredrik and I can play RPG-like campaigns. First up, are the Songs of Stillburg. The people of the small town Stillburg have long led very uneventful lives. Recently, this has changed. Livestock have been found in the mornings, mutilated and torn asunder. At first people blamed the wolves in the region, and wanted to organize a hunt. However, when a full pack of wolves was found torn to pieces the towns-folk started getting scared. Nobody talked about organizing any hunts after that. Instead, fortifications were made on the town borders and some mercenaries were hired to bolster the town militia. Among these mercenaries, we find Raab the Barbarian and his old friend and partner Aldor Berlepsch. Unfortunately, I haven’t been able to paint up Aldor yet as he’s still en route in the post – but here’s a picture of Raab and a short bio. I’m making similar bios for all characters, to promote certain role playing in game and prevent power gaming where each mini is only viewed as expendable resources. Raab – Human Barbarian. Quality 4+, Combat 4. Fearless, Berserk. Professional sword for hire. Long time friend and companion of Aldor Berlepsch. Not the brightest, but fiercly loyal to Aldor and will protect him at any cost. 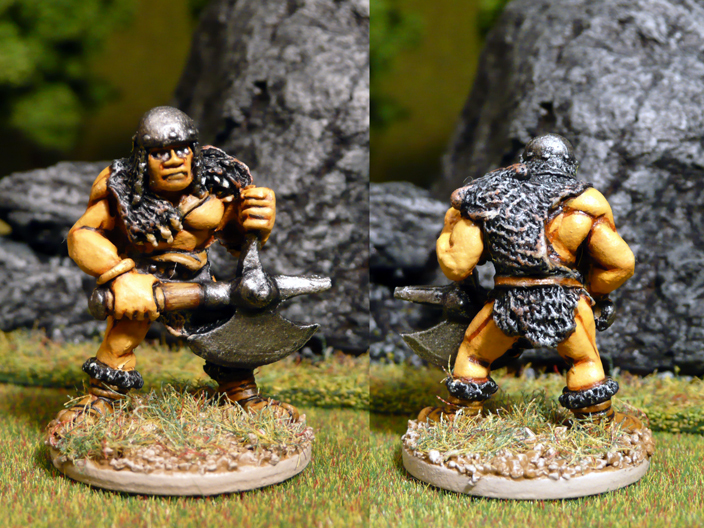 Finally, I have one more recently painted mini to share. 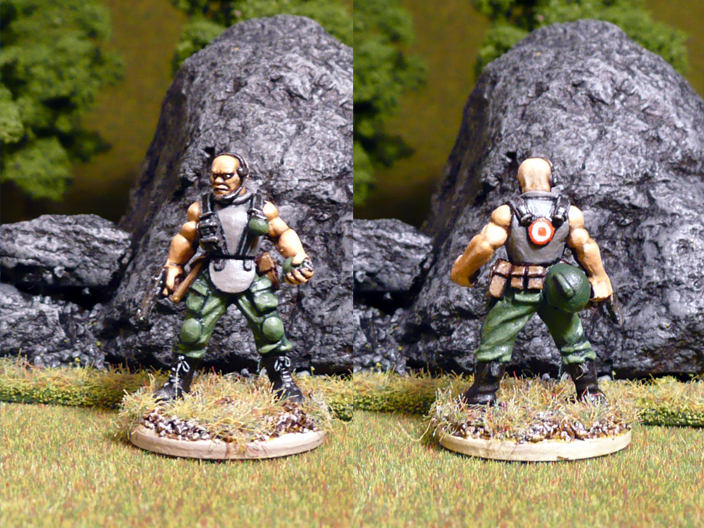 It’s some military type guy from EM4 Miniatures, and his first assignment is as an android in Fredrik’s warband in Mutants & Death Ray Guns. As usual, click for a high res version. Coming up next; whatever pops in the mail box first. I’m waiting for a hefty batch of metal skeletons, also the mayor of Stillburg (Phoncible Bernadotte) and three city militia as well as the aforementioned Aldor Berlepsch. I’m still to find suitable minis for Brother Wendel (a monk from the local priory), Duncan Sandels (member of the priory’s knight templar order) and a few zombies.